WASHINGTON (Feb. 25, 2019) — Marcia Firmani, PhD, MSPH, was tapped to chair the Department of Biomedical Laboratory Sciences at the George Washington University (GW) School of Medicine and Health Sciences. Firmani also serves as an assistant professor of biomedical laboratory sciences and microbiology, immunology, and tropical medicine. Firmani has nearly two decades of experience in teaching and research. In addition to serving as interim chair since 2016, she also oversees the Medical Laboratory Sciences Program. She has greatly expanded the program since assuming this role in 2013 and continues to teach classes, advise students, guide curriculum development, and ensure compliance with accreditation standards and best practices. Firmani has been an integral part of the growth of GW’s Virginia Science & Technology Campus (VSTC) in Ashburn, Virginia. At the VSTC, Firmani helped design and establish student classrooms and laboratories in Discovery Hall. She also managed a large team of faculty and staff involved in directing, coordinating, and teaching courses within the Post-Baccalaureate Pre-Medicine Program, undergraduate and graduate Medical Laboratory Science Programs, and educational contracts with the U.S. military. 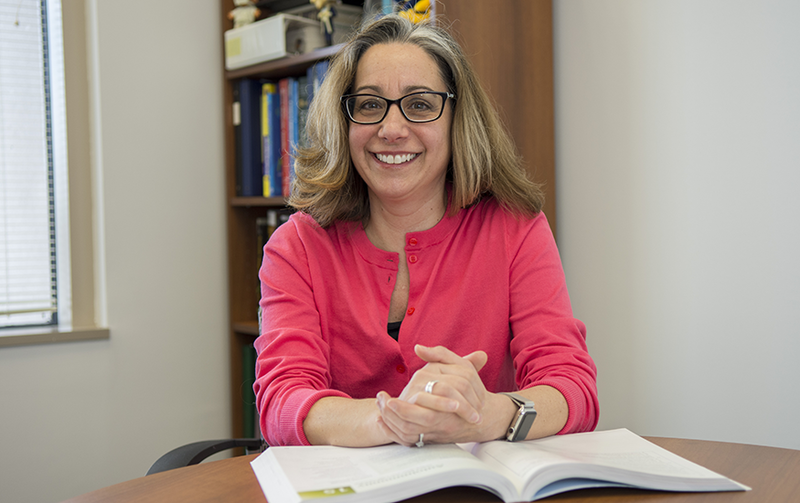 Prior to arriving at GW, Firmani was a principal investigator at the National Biodefense Analysis and Countermeasures Center, where she conducted and managed several research projects involving biothreat agent characterization. She was previously an assistant professor of biomedical science at the University of Wisconsin, where she taught various undergraduate and graduate-level courses, such as medical microbiology, applied microbiology, molecular diagnostics, and molecular pathology. She also directed a research laboratory where she conducted NIH-funded research on Mycobacterium tuberculosis and mentored both undergraduate and graduate student research projects. Firmani was also an assistant professor of clinical lab sciences at the Louisiana State University Health Sciences Center. Firmani has taught numerous continuing education courses in clinical lab sciences, including a course for the American Society for Clinical Laboratory Science on emerging infections. Firmani has also authored several textbook chapters focusing on infectious diseases and has published her research in peer-reviewed journals, such as Infection and Immunity and the Journal of Clinical Microbiology. The Department of Biomedical Laboratory Sciences includes: Military Programs, two BSHS degree programs in Medical Laboratory Science, five Post-Baccalaureate Certificates in Medical Laboratory Science, as well as several graduate programs in Clinical Microbiology, Translational Microbiology, Molecular Diagnostic Sciences, Immunohematology and Biotechnology, and Laboratory Medicine. These programs prepare individuals to move into the medical laboratory sciences and diagnostic laboratory field. Individuals often work in hospital and diagnostic laboratories, pharmaceutical and biotechnology laboratories, public health laboratories, and at NIH. Additional programs in clinical embryology and assisted reproductive technology are planned for 2019. Firmani assumed the role of chair in February 2019.